If you’re looking for something exciting to do near Sherwood, then head to Salem, OR. From Salem’s Riverfront Carousel to Oregon WWII Memorial to the Schreiner’s Iris Gardens, explore the fun things to do in Salem, OR. Salem’s Riverfront Carousel: There’s something timeless about a carousel, and Salem’s Riverfront Carousel is a must visit. Rides are very affordable, and your kids will love the experience. Plus, you can rent out the area for special events! Oregon WWII Memorial: Head to the Oregon State Capital and explore the Oregon WWII Memorial. While in the area, feel free to peruse the other landmarks located throughout the grounds. Schreiner’s Iris Gardens: Relax and surround yourself with beauty at Schreiner’s Iris Gardens. Close to Salem, you’ll love the sights, finding out about the family history, and even exploring the gift shop. 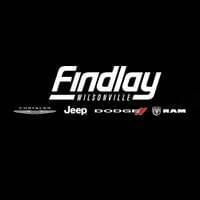 Before taking your Salem adventure, equip yourself with a new vehicle from Wilsonville Jeep Ram in Wilsonville. Our team will help you apply for financing or even value your trade to help you bring a new car home today.